The VOBIS Gold Ingot over 1400m is one of the last two races of this season’s $3.1 million VOBIS Gold Premier Race Series. The other is the $180,000 VOBIS Gold Stayers for 3YOs & up over 2400m. As part of its sponsorship of the Join Victorian Breeders VOBIS Gold Ingot, TBV will be offering a free membership to each of the owner, trainer and breeder of the winning two-year-old. 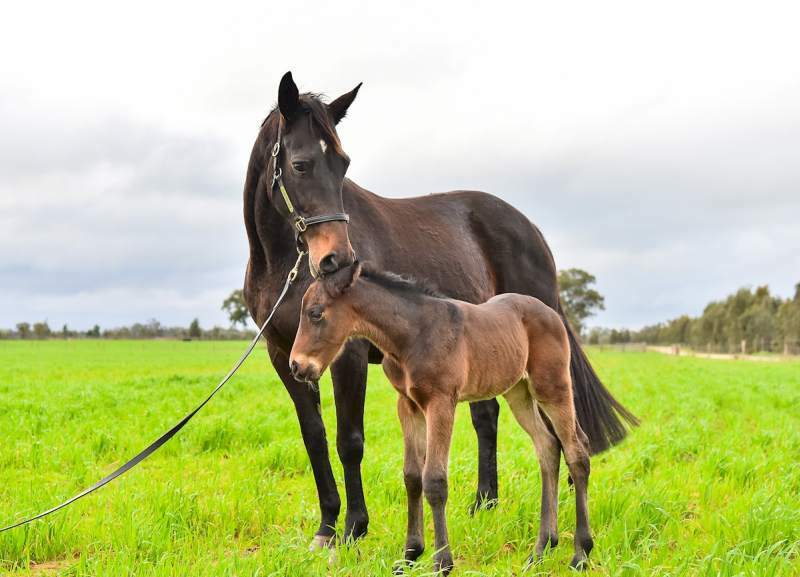 “A free membership is a small but important way of TBV recognising the efforts of the connections, particularly the breeder,” said TBV Executive Officer Patrick Clancy. “The VOBIS Gold Premier Race Series sets Victoria apart from the rest of Australia and gives our breeding industry a real boost. “This year, the race series was worth nearly $3.1 million in total. Next year, with the addition of the $310,000 VOBIS Sires race for Victorian sired 3YOs, the series will be worth more than $3.5 million. Alongside the big VOBIS Gold Premier Races, there are also 250 VOBIS Gold $20,000 bonuses spread across racetracks around Victoria throughout the year. This brings the total value of the scheme to more than $8 million a season. Racing Victoria Executive General Manager – Racing, Greg Carpenter said with the support of the Victorian Government, the VOBIS Gold program is making a successful impact on the growth of ownership and the local breeding industry. Breeders and owners with 2015 born foals must nominate their horses for VOBIS Gold prior to the deadline of Thursday, 31 August 2017. Breeders are also encouraged to join Thoroughbred Breeders Victoria (if not already). Twin Creeks’ twin city success! 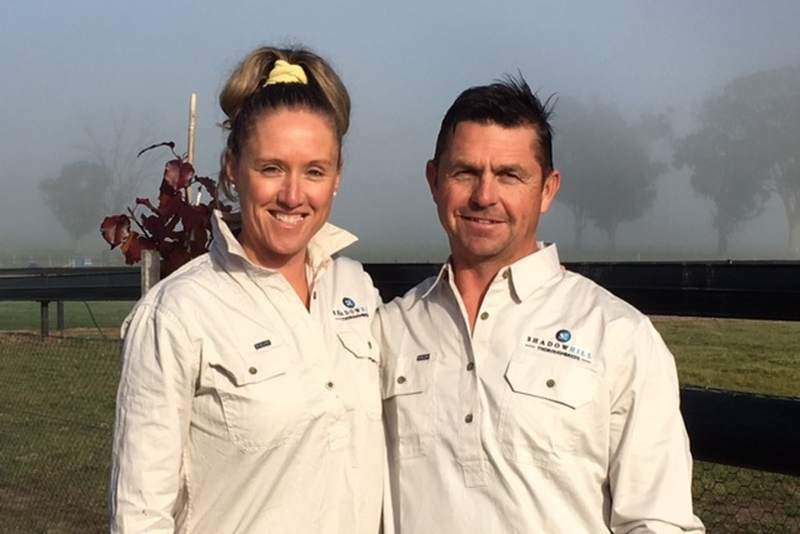 Twin Creeks’ Kate and Nick Taylor had a fantastic 24 hours this past weekend following two of its farm graduates recording quality victories. Satellite Prince (Flying Spur) saluted at Singapore on Friday night and then Care To Think (So You Think) took out the last at Doomben on Saturday. The Taylors’ Twin Creek operation consists of a 280 acre property situated in the heart of the Samaria Valley, between Mansfield and Benalla. Although not breeding their own mares currently, Nick and Kate remain passionate about foaling a handful of mares for clients. “We are a small operation, and I like to keep it that way, as it means I can really get to know the mares and the youngsters,” Kate Taylor said. “I can always pick up any problems quickly…that is something I pride myself on. “This year we would have about six mares to foal down for my wonderful group of clients that breed to race mostly. Doomben winner Care To Think (So You Think) is trained by Murwillumbah ‘s Matthew Dunn. The gelding won by a length over the 1350 metres at Doomben. It was his second win from seven starts following a victory at the Gold Coast in December. Another three placings have been recorded. Care To Think is from the Hussonet mare Slippery Madam, a half-sister to Group 1 winner Hard To Get and Group 3 winners Fumble and Reputed Groom. Care To Think was his dam’s fourth foal and was sold through the 2015 Magic Millions National Yearling Sale. He was purchased by Gold Coast’s Neil Jenkinson for what now seems like a bargain price of $16,000. The John O’Hara trained Singapore winner, Satellite Prince, saluted over 1600 metres in a return to form for his owners The Satellite Stable. “The horse had a good gate speed, he was always travelling well, and he gave a very nice kick to win the race, it’s nice to have him back,” O’Hara said. Satellite Prince is from the Thorn Park mare, Hella Good, a half sister to Group 1 and dual Group 2 winner Triple Honour (Honours List), who is out of the multiple winning producer, Myrrh (Nassipour). He was prepared by Avenel’s Millford Thoroughbreds for 2013 Inglis Premier Yearling Sale only to be passed in for $70,000. He was later snapped up by Benalla’s Nolen Racing and sold through the 2013 Inglis Ready 2 Race Sale where he was purchased by a Singapore buyer for $80,000. Kate Taylor has indicated that dams of both the weekend’s winners, Slippery Madam and Hella Good, are not currently in foal. She says both mares are ready to breed this season and are available for purchase. 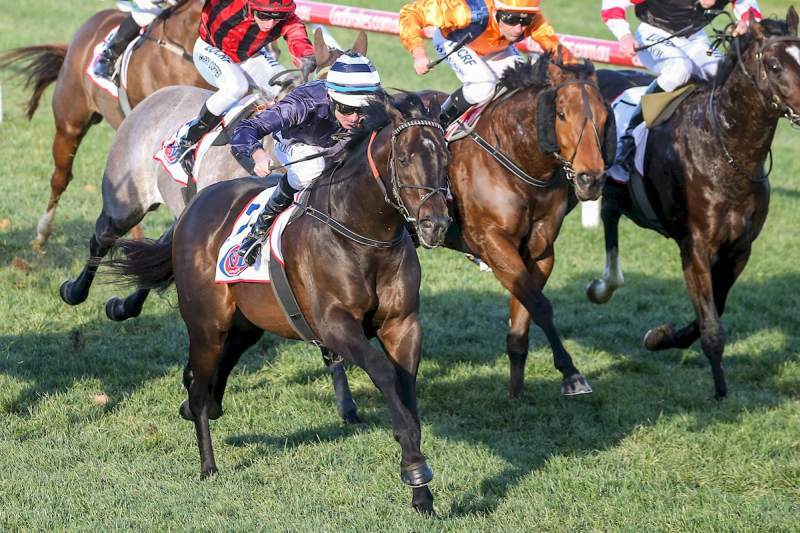 Laid-back Euroa trainer and breeder Peter Smith was as surprised as anyone when his rising 9YO homebred galloper, Play Master, won Saturday’s KA Morrison Handicap down the Flemington straight. 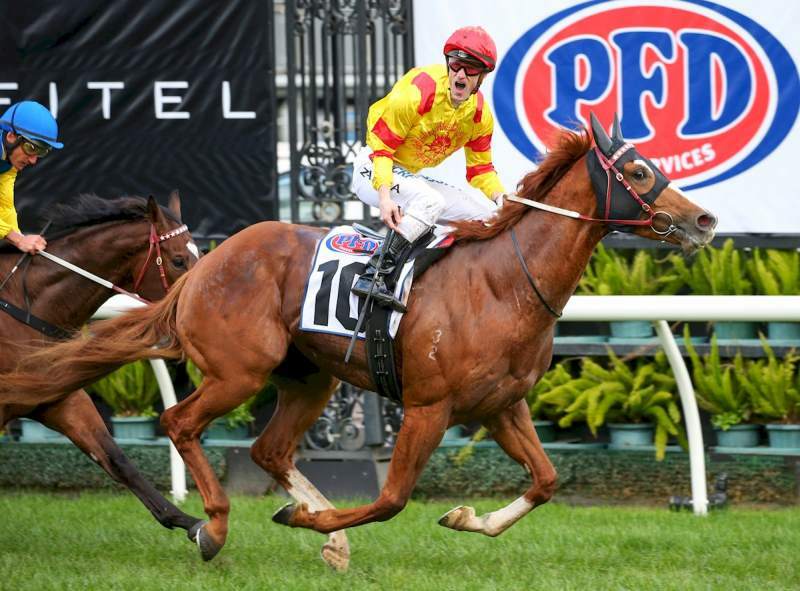 Winner of the Listed All Victorian Sprint over the same journey (1200m) in July 2015 and a lip second in the Group Three Aurie’s Star at his following start, the pickins’ have been lean ever since with only one placing from 12 outings for Play Master. Consequently, Play Master was sent out a $31 shot on Saturday and while Smith had anticipated a much better performance than the horse’s 10 from 10 two weeks earlier, a victory was probably going to be a bridge too far. “I definitely didn’t think I’d be getting interviewed on TV after the race,” Smith laughs. Smith is not only the trainer of Play Master – who has now won 11 from 39 and $410,525 in stakes – he owns the horse in partnership with family and is also the breeder. “It’s pretty amazing really,” Smith adds, “he (Play Master) is by a two bob stallion (Masterprint) out of a two bob mare (Introduce). “Masterprint is a son of Rubiton and was bred by Blue Gum Farm. I spotted him in their paddock and he was one of the nicest horses I’ve ever laid eyes on. He had a pedal bone infection and was never going to race, but I just thought he’d make a lovely stallion and so I purchased him for $2,000. “It turns out his first three foals all won in town, including Play Master. They were never going to run early … matter of fact, Play Master was nearly five when he had his first start and he was just starting to put it all together when he did a suspensory as a 6YO. Unfortunately for Smith, Masterprint died a couple of years back, but he still has around 25 of his progeny – yearlings, 2YOs and 3YOs (all untried) – that are filling the paddocks of his Springview Park, a 240 property outside of Euroa. Prized among Smith’s Masterprint progeny is a yearling filly out of the Night Shift mare Intrigues. She is also the dam of Group 1 winner Mental and the handy Snowden trained, multiple city winning Suspense. “It was tough losing Masterprint, but I’ve managed to secure two other stallions in Swift Alliance and Mezyaan, both of which I’ve got high hopes for,” Smith said. “Swift Alliance won nine races for Gai Waterhouse, three of them Group races, and finished second in a (Group One) Galaxy, while Mezyaan was unraced, but is by Lonhro out of a half sister to Encosta de Lago. “Swift Alliance has already got a handful of winners, but the thing about it – both of them actually – is that they have such great temperaments. To me, having good temperaments is just as a important as ability. “I reckon if you ask most trainers they will tell you that all good horses have good attitudes. Play Master for instance … he’ll run through a brick wall for you. Originally a plumber, then a farmer (“a bit of a jack of all trades”), Smith has been training for around 20 years and currently has some 22 in work. 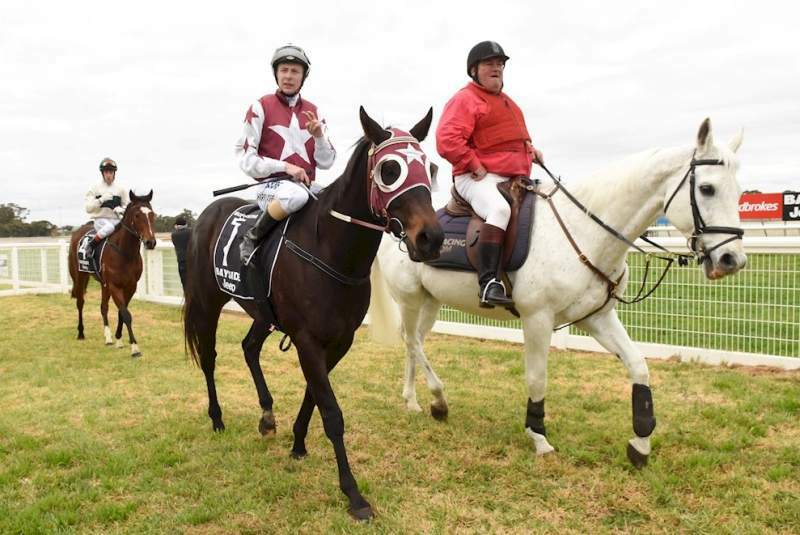 “I’ve got about 10 outside horses at the moment which is pleasing … you’re always on a learning curve with this game but I’ve got everything I need on the property, including a two mile track, and if I need to take them into town, I’ve got either the facilities at Benalla or Seymour. HOOFNOTE: Play Master’s dam, Introduce – a 3-time winner by Brief Truce and hailing from a successful Woodlands family – produced just the two runners in Play Master and the Over mare, Commence, a winner of five. “I purchased Introduce for $2,000 in 2007 at the (Inglis) March Thoroughbred Sale – in foal to Over – and phoned Trevor Lobb at Woodlands afterwards to find out why her first two foals had died,” Smith explains. “It turns out she was really possessive and tried to steal all the other mares’ foals and both her own foals got kicked by other mares and died. “I took the hint and kept Introduce in a paddock by herself where she produced Commence and then Play Master the following year. “Then, wouldn’t you know it, Introduce gets bitten by a snake and dies. I could have had seven or eight full relations to Play Master by now! We never expected to be writing a story about Saturday’s Randwick winner Suncraze (a gelding who previously had a run of six straight second place finishes). He is, after all, not bred in Victoria, not trained in Victoria and is not the progeny of a Victorian sire. 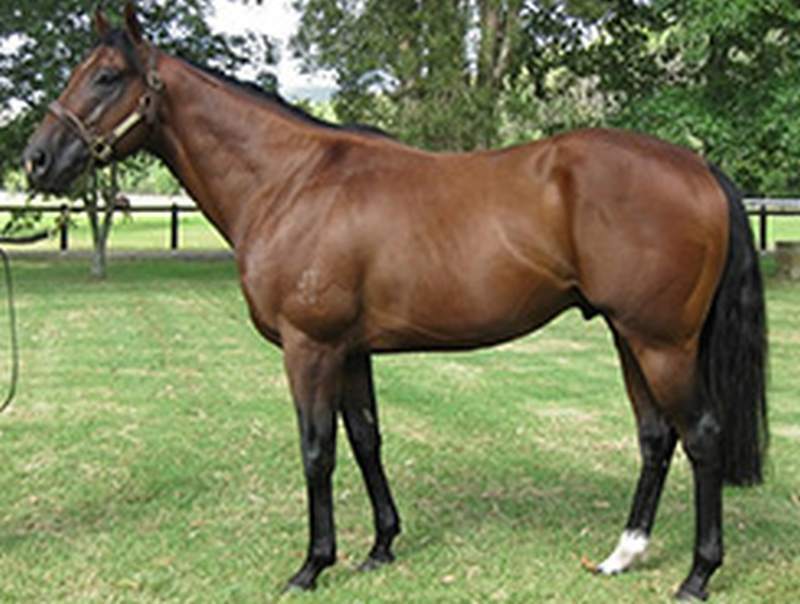 But Greg Tobin, writing for Aushorse, uncovered quite the story about the dam of Suncraze who is now in the hands of Neville Murdoch’s Larneuk Stud…. Suncraze (Henrythenavigator) is out of the unraced Xaar mare, Sunstyle who has three winners from as many to race – two of those in town. And for one elated Victorian stud master in Larneuk’s Neville Murdoch, she’s proven to be a bargain buy at just $700 (in foal to Teofilo) when snapped up from the 2014 Inglis Weanling & Broodmare Sale in Sydney. After producing a Teofilo colt (an unraced 2YO in New Zealand called Rhinestone Cowboy), Sunstyle then missed to Larneuk resident sire O’Lonhro, produced a colt last spring by Cluster and is now in foal to Ilovethiscity. “Suncraze is a very good horse and that was a great win on Saturday,” Murdoch enthused. 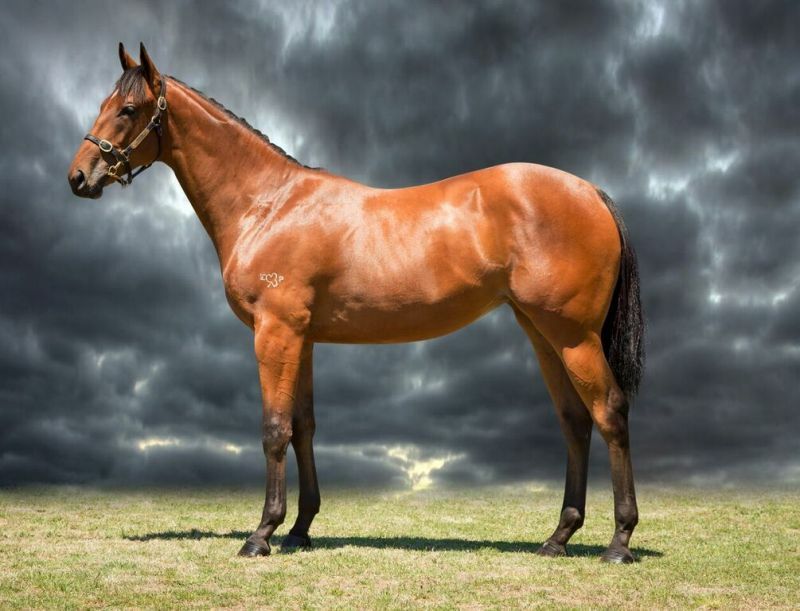 (A Group Two placed son of Street Cry, Wolf Cry is out of a stakes placed Redoute’s Choice mare, Starfish, in turn a half sister to the stakes winning 2YO, Brilliant Bisc, who was sold for $600,000 at the Turangga Stud Dispersal on Sunday). 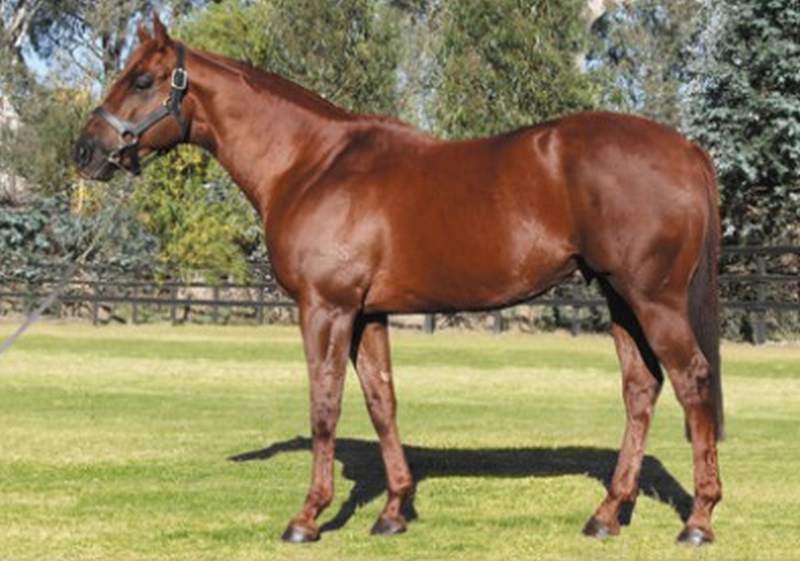 Adding another stallion to the Larneuk roster this week via the arrival of Honorious – a Group winning half brother to South African Horse of the Year, Igugu – Murdoch is well aware of the swings and roundabouts in the thoroughbred industry, but is still marvelling at his good fortune with Sunstyle. It was a goodbye and a good buy. 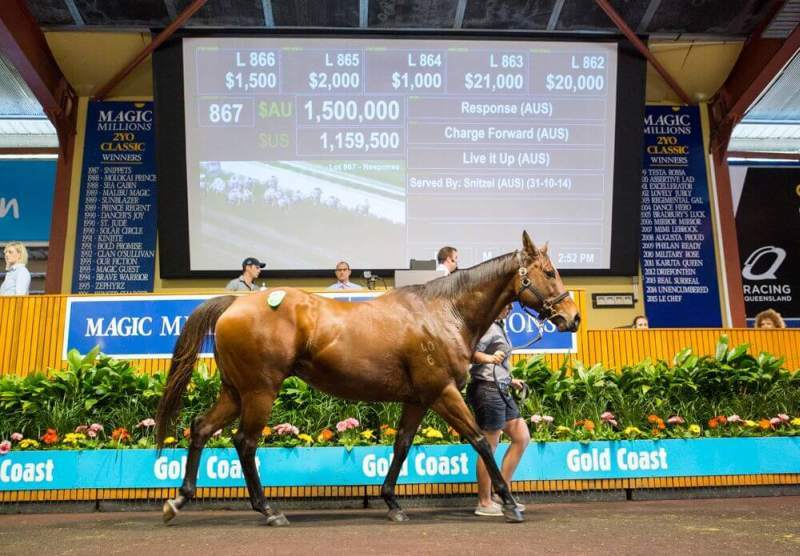 The complete dispersal of Patinack Farm’s bloodstock on the Gold Coast in October 2014 yielded many a bargain purchase, none more so than the $32,500 paid by Victorian trainer/breeder David Brideoake for the well related Sadler’s Wells mare, Kendall Lass. Originally knocked down for €280,000 as a yearling in France, Kendall Lass was unraced, but at the time of Brideoake’s ‘intervention’ she had a month old Trusting colt at foot. Before the pair finally settled at Brideoake’s Violet Town breeding farm Roycevale, they visited Patinack Farm once again for the mare to be covered by Lope De Vega. The Trusting colt – now named Terry – then spent the rest of his pre-racing career at Violet Town growing up and eventually made his way to Brideoake’s Mornington racing stables. And Terry appears to be a youngster of considerable ability and took his tally to two from two on Saturday by capturing the Listed Oaklands Plate over 1400m at Morphettville. Terry was slowly away – just as he was in his winning debut at Pakenham on 25 June – but hugged the rail for the quickest route home at Morphettville, winning impressively and obtaining some precious 2YO black-type for the pedigree. “Terry was probably going as well on the line as at any stage during the race,” Brideoake enthused. “He showed good speed and sprinted strongly to the line. He won against the pattern of the day as Morphettville is a track with a slight leader bias. Brideoake, who bred, raced and trained 2016 Group One Galaxy winner, Griante, has had another successful season from his Mornington base with other 2016/17 stakes winners including Hardham, Nurse Kitchen and the homebred Self Sense. Brideoake is a keen breeder, explaining: “I have around a dozen mares that I breed from every year. I’ve got a property at Violet Town that is managed by my son, Tom, which caters for my mares and some for clients. Around 20 mares all up. 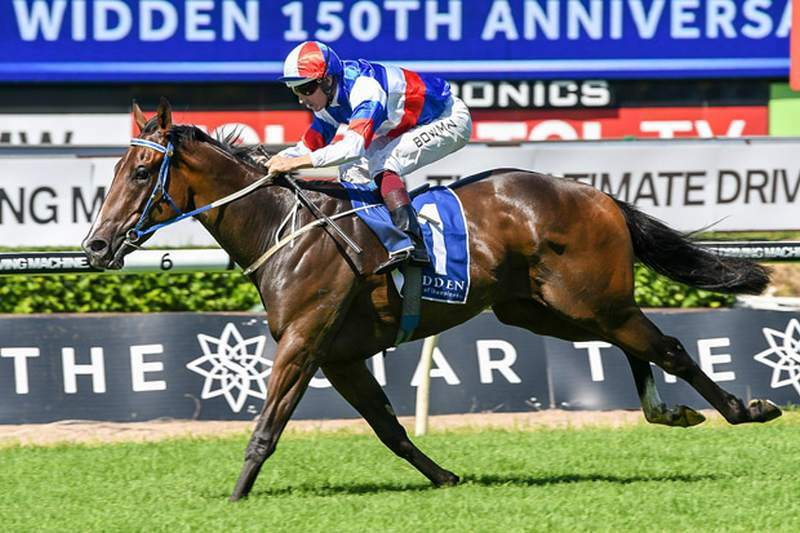 Dual Group One winner, Palention, is poised to open the batting with a star lineup of mares at Sun Stud Victoria this spring. Retired to Sun Stud after a career which included victories in the Group One Australian Guineas and Group One Makybe Diva Stakes – the only horse apart from the legendary Zabeel to achieve the double – Palentino has caught the imagination of broodmare owners throughout Australia. He is arguably one of the best performed stallions to retire to a Victorian farm in the past decade. “We knew Palentino would be popular given his record and the fact he’s such an outstanding type, but the level of interest has been terrific,” Sun Stud’s Sales and Nominations Manager, Phil Marshall, enthused. 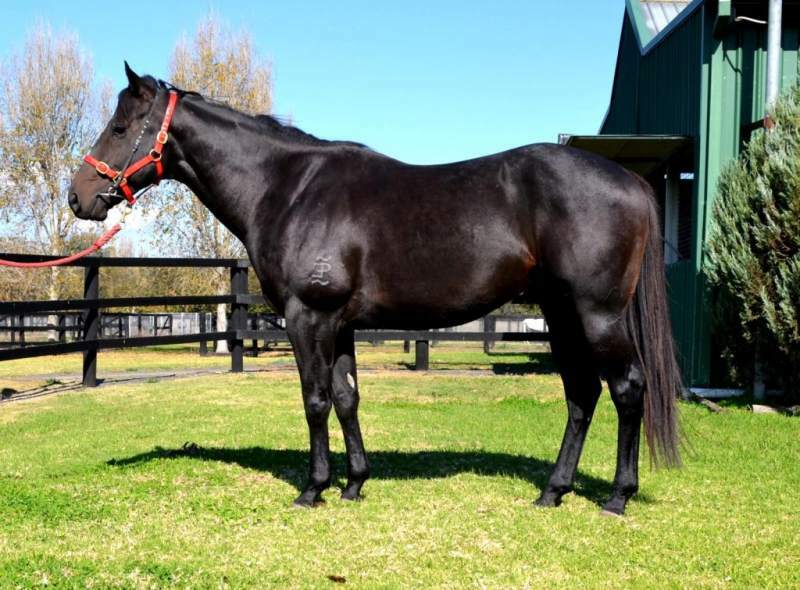 a stakes placed Hussonet mare currently in foal to Vancouver. Meanwhile, Sun Stud clients have been quick to embrace Palentino. Among the broodmares coming from off farm is the winning Elusive Quality mare, Shabtis, a half sister to 5-time Group One winner, Mummify, and the dam of Melbourne Group winner, Take Pride. Shabtis is owned by successful Mornington Peninsula based breeder, Don Byrne – who has bred several stakes winners including Encosta de Lago’s Group One winner Ultra Fantasy. Shabtis’ Written Tycoon colt sold for $530,000 at the 2017 Inglis Australian Easter Yearling Sale while the weanling full-sister made $235,000 at the Inglis Great Southern Sale this past June. “There’s a great deal to like about Palentino,” Don points out. a winning half sister to stakes winners Excites Zelady and Zelady’s Night Out. “Palentino’s race record is clearly an attraction, particularly the way he backed up in the autumn with a cracking victory in the Group Two Blamey Stakes, but Palentino is also proving to be a real ‘look and book’ type,” Marshall adds. 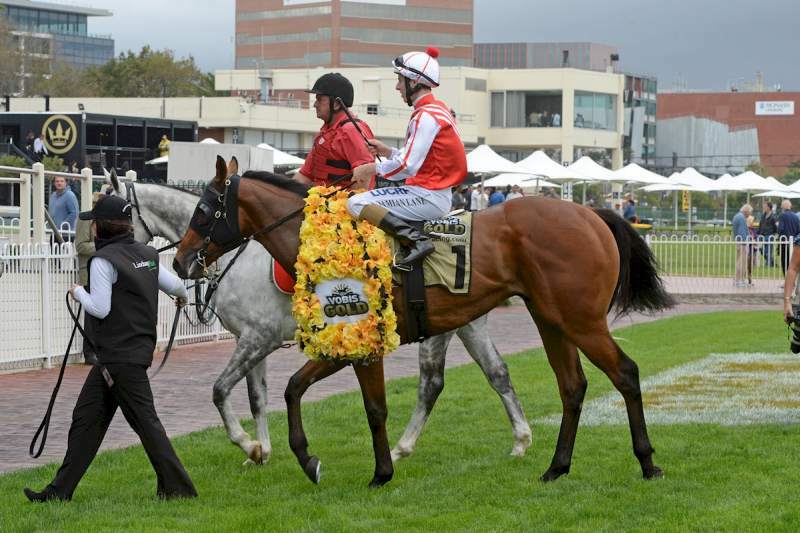 Starcraft's son Property wins the Group 3 Kindergarten Stakes (photo-Steve Hart). Rosemont Stud’s stallion Starcraft is surfing a wave of success, particularly in Hong Kong, so the stud is keeping the momentum going with a unique deal for broodmare owners. DANNY POWER reports. When Anthony Mithen hosted the yearling-buying team from the Hong Kong Jockey Club to Rosemont Stud at Ceres, near Geelong, for dinner during the Inglis Melbourne Premier Yearling Sales in early March, most of racing’s (and the world’s) problems were “solved” by a group known for not being short of an opinion. Hong Kong reps Nick Columb and Mark Richards more than held their own as good food and fine wine fueled many heady debates. However, it was with lips tinted by the remnants of a good Bellarine Peninsula Pinot Noir that the dinner guests focused their discussion on Rosemont’s stallion Starcraft. On this there was unanimous agreement. 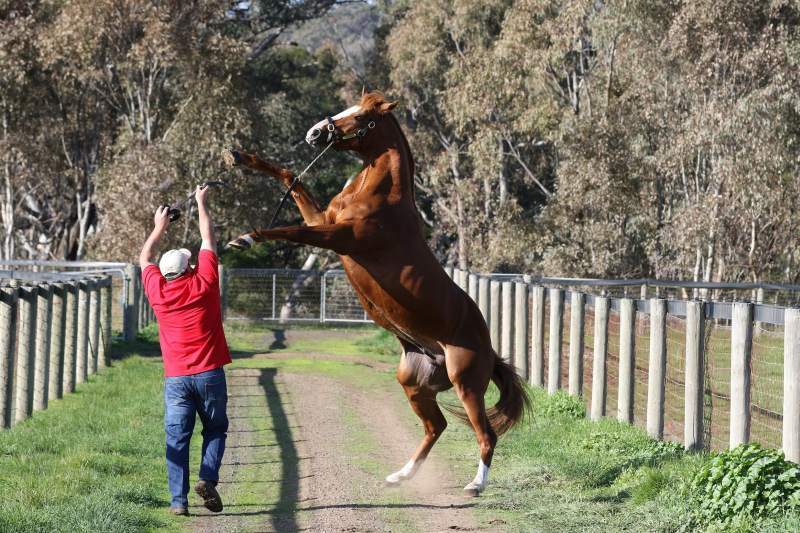 Rosemont’s Anthony Mithen and brother-in-law Nigel Austen are naturally enthusiastic about Starcraft, but the big chestnut also is a stallion whose progeny Hong Kong buyers love. Starcraft has three of the most promising gallopers in Hong Kong, including his headliner Blizzard (ch g 2011, ex Stormy Choice, by Redoute’s Choice), winner of the Group 3 Challenge Cup this year and twice Group 1 placed, the exciting Jing Jing Win (b g 2012, ex Top Cuban), winner of two of his four starts and Winner’s Way (ch g 2012, ex Sunday Service, by Sunday Silence), fourth in the Listed Hong Kong Classic Mile. It was Columb and Richards who paid $360,000 for Jing Jing Win as a yearling at the 2014 Sydney Easter Yearling Sales, and then watched him top the Hong Kong Jockey Club horses-in-training sale in March 2016 with a hefty increase to $HK8.5 million ($A1.45 million). It was a lot of money to spend on a Starcraft, a stallion who was losing some favour in Australia from his Arrowfield Stud base in the Hunter Valley before he moved to Rosemont Stud in 2014. Rosemont has since bought the stallion. Spicing up the Starcraft conversation like a dash of chilli was the form his classy Melbourne juvenile, Property, who, after winning a Group 3 Blue Diamond Prelude (1100m, Caulfield) and Listed Blue Diamond Preview (1000m, Caulfield), went to Sydney where he won the Group 3 Kindergarten Stakes (1100m, at Randwick) in dashing style. Despite this surge of interest in Starcraft with breeders, Mithen and Austen have come up with a novel way of attracting more mares to the stallion—by a simple toss of the coin, you could get into the stallion for free rather than pay his 2017 fee of $8800 (inc. GST). “It’s simple. If you want to breed a colt, you nominate that preference, and if you get what you want, you pay the fee,” Mithen said. “However, if you get a filly, you pay nothing, and vice versa. While a lot of the attention on Starcraft in recent times has been his sons, however, six of the best of his 18 Stakes winners are fillies—We Can Say It Now (dual Group 1 winner), Ain’tnofallenstar (two Listed), Celebrity Girl (two Listed), Crafty Irna (Group 3), Starcheeka (Group 3) and Hallowell Belle (Group 2). Rosemont is something of a “museum” for broodmare owners. Two of its three stallions represent sire lines that are rare. Starcraft represents Australia’s closest link with the Nureyev sire line. Nureyev has been an incredibly influential stallion and Starcraft is by one of Nureyev’s best sons, Soviet Star. Barnmate Toorak Toff is from the nearly defunct Star Kingdom line that 40 years ago swamped Australia. 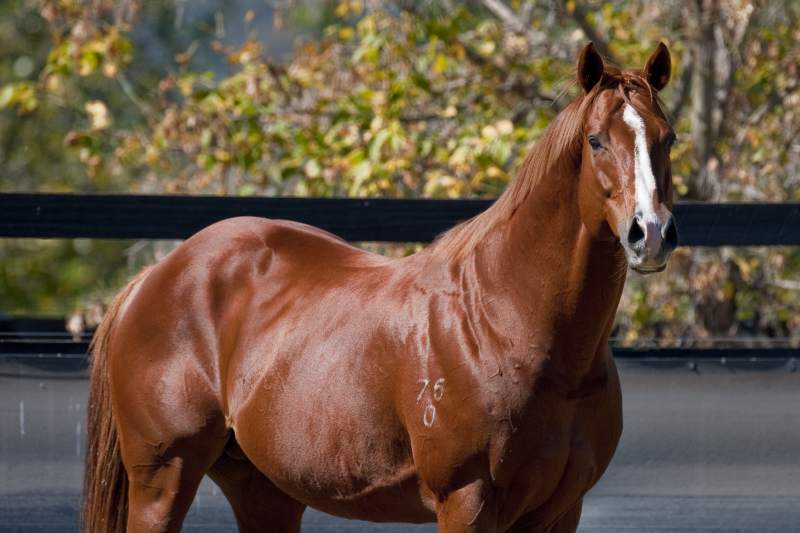 Only Rosemont’s Toorak Toff and his Queensland-based sire Show A Heart (Glenlogan Park) represent the Star Kingdom line at commercial breeding farms in Australia. Of course, Nureyev (by Northern Dancer) and Star Kingdom (by Stardust) remain very relevant in the bloodlines of many of Australia’s best broodmares. Interestingly, Starcraft seems to be starting a little stallion dynasty of his own. His fastest and best son Star Witness, who stands at Widden Stud, is the leading third-crop stallion in Australia with four Stakes winners of eight Stakes races. Star Witness, out of the star Lion Hunter mare Leone Chiara, was a brilliant near-last-to-first winner of the 2010 Group 1 Blue Diamond Stakes (1200m) at Caulfield and backed up as a 3YO in the spring to win the Group 1 Coolmore Stud Stakes (1200m, Flemington). At stud, he has continued to climb the tree to be in the top-20 stallions (national figures) in the country with only three crops of racing age. His best son, Star Turn, an extremely fast, dual Group-winner and multiple Group 1- placed chestnut in the mould of Star Witness, will stand his first season at Vinery Stud, Scone, at a fee of $22,000 and he’ll cover a full book. Star Turn is an intriguing combination of a Nureyev sire line over a Star Kingdom mare, Golden Delicious, and, like Starcraft, is the perfect mate for a Danehill-line mare. It’s no coincidence that both Star Witness and Starcraft’s brilliant gelded son Blizzard are from Danehill-line mares—the Starcraft-Danehill cross, including Danehill’s sons, has produced 88 winners—while Property and Jing Jing Win are from a mare by Anabaa, who is by Danehill’s sire Danzig. Rosemont Stud continues for forge a path to the top of the hill in Australian breeding. Recently at the Magic Millions National Broodmare Sale, Mithen and Austen paid $3.7 million for 27 mares, some of which will go to Starcraft. The farm has employed former champion trainer Peter Moody as an adviser and his public assessment of the Rosemont yearling sale drafts at the Melbourne Premier Sale and Sydney’s Easter was an outstanding insight. Also standing alongside Starcraft and Toorak Toff is the impressive Medaglia d’Oro stallion Nostradamus, a half-brother to Star Witness, who will cover his second book of mares after serving a 110 mares last season. The stud got a boost of confidence from the sale of the first mare in foal to Nostradamus—Troposphere, by Stratum—who sold at the Inglis Broodmare Sale at Easter for $90,000 to Cornerstone Stud in South Australia. Fresh off a record breaking yearling and weanling sales season, Mornington Peninsula stallion farm Bombora Downs is gearing up for a busy breeding season. And a great deal of that vigor relates to Warhorse, the farm’s exciting Group 1 winning 2YO sire and a son of the mighty General Nediym. Bombora Downs is offering breeders a special third season deal of two mares for the price of one for Warhorse, who stands at $7,700 (GST incl). The offer also includes a free return until your foals turn 12 months old. The Free Return is transferable to another mare of the owner’s choice or to the new owner if the mare is sold (subject to conditions). Warhorse has a magnificent first crop of foals that were born last year. Many are entered into the 2018 Inglis Yearling Sales series such as a half-brother to a Group 1 Rosehill Guineas winner and foals from an AJC winning Danehill half sister to a Golden Slipper Winner, a multiple Group 2 winner including the VRC Matriarch Skates and a multiple Group 3 winning Group 1 placed mare who is already the dam of a Group 3 winner. Warhorse is a neat, well-balanced powerful individual with excellent conformation. He was a two-year-old champion and an outstanding winner of the Group 1 Diamond Stakes over 1200 metres in New Zealand. At three, he won the Bonecrusher Stakes 1400 metres and ran an unlucky place (beaten a neck) to Sacred Falls in the 1600 metre Group 1 NZ 2000 Guineas followed by a second in the Group 2 WFA Apollo Stakes in Australia against the older horses. His multiple Group 1 winning trainer, Jason Bridgman (now based at Pakenham) said Warhorse was the best 2YO he had ever trained. “He had a blistering turn of foot and a fantastic temperament. He was completely sound and a pleasure to train,” Bridgman said. Bruechert recognises that it is difficult to match it with the major commercial studs. “What makes us stand out is that we do an outstanding job on the horses and give great individual and personal service to our clients,” he adds. For more information on Warhorse or Bombora Downs’ other stallions and services, contact Christoph Bruechert on 0419 534 961. Every now and then a stallion overcomes the odds, proving himself despite not enjoying the advantages large books provide – siring smart types from limited opportunities. One such horse is Larneuk Stud’s Ilovethiscity. Even though he is a Group One winner of one of Sydney’s best tests of three-year-old class, the Randwick Guineas, breeders have somehow overlooked Ilovethiscity. 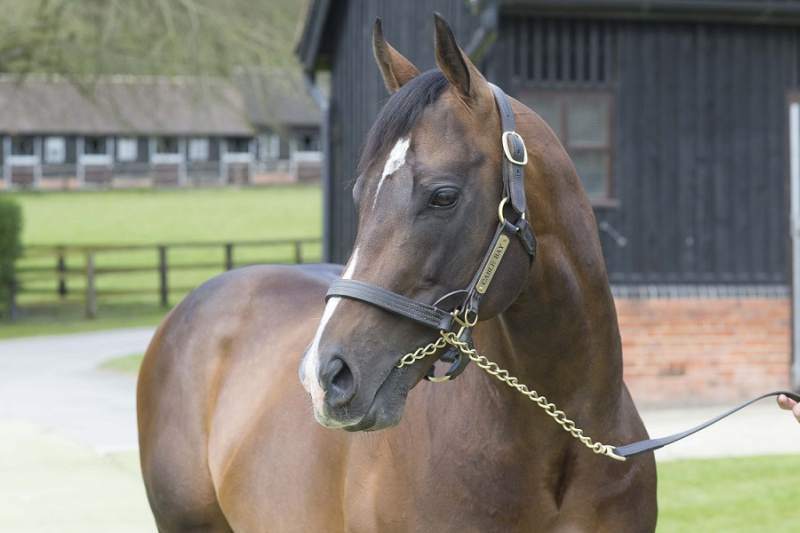 He ticks so many boxes; he had the racing class, he is great type and he hails from a consistent stallion line, his sire Magic Albert well represented by 22 stakes winners with an excellent 67.2% winners-to-runners strike rate whilst his grandsire Zeditave sired 36 stakes winners with an outstanding 70.5% strike. And he hails from an outstanding local family proven it its ability to produce successful stallions – his relations including the high-class gallopers Grosvenor (triple Group One winning sire of 53 stakes winners; 70.3% winners-to-runners) and Lonhro (11 times Group One winning sire of 67 stakes winners; 71.1% winners-to-runners). It is difficult to pinpoint why some stallions capture the attention of breeders and why some don’t but one thing is for certain – Ilovethiscity is doing the job and deserves greater recognition and opportunity! From just 33 runners to date, with his oldest runners just three, Ilovethiscity had sired five city winners (13 overall plus eight lightly raced placegetters), talented horses who have been in really good form in recent weeks. Such as two-year-old Bris Vegas who was so gutsy saluting over 1000m at Morphettville last Saturday. What an interesting pedigree he has, his fourth dam Market Fair also the dam of Ilovethiscity’s dam sire Kenfair. And then there is the highly promising metropolitan winner Ilovevegas who has just been secured to race in Hong Kong. A 3 1/4 length maiden winner at his previous start, he showed great heart weaving through the field before racing clear to win by a soft and impressive 1 1/2 lengths recently at Doomben. It was a tough decision for Currie to accept the offer on the exciting young horse who would have been favourite for the G H Mumm Handicap at Doomben but instead was being prepared for his new venture. Also showing plenty of talent are Ilovethiscity’s sons and daughters Chapel City (stakes placed three times Morphettville winner), Vivaldi’s Quest (Morphettville winner also close up in black type company) and Plenty To Like (Caulfield winner in mid-April). There are others who look sure to break through in town soon; the four times winner Moonlover competitive in good company, the Moonee Valley runner up The Passage boasting good form lines and Ville Chanson winning two of his first four whilst City Of Dreams impressed bolting in by four lengths at her Tasmanian debut in late April. All this from just 74 live foals produced in his first two crops! “There is no doubt that Ilovethiscity is a stallion who is worthy of greater support,” said Larneuk Stud’s Neville Murdoch. Grahame Begg, trainer of Ilovethiscity, is also a fan. Long-toothed racing and breeding types are scratching their head wondering the last time a Victorian breeder had three winners in one day on a Melbourne metropolitan race card. Whenever that might have been, the new marker has was set on Saturday by the remarkable Gilgai Farm of Nagambie. At Caulfield, Gilgai bred horses Supido (Sebring), Portion Control (Snitzel) and Nikitas (Snitzel) all saluted demonstrating once again the genius of Gilgai owner Rick Jamieson. “Without question, Saturday was a racing and breeding highlight for me and the farm,” Rick said. Supido was certainly the biggest highlight of the three winners taking out the Group 3 Sir John Monash Stakes. The Group 1 placed five year old has been given plenty of time to mature by his trainer Michael Kent, but the rewards now seem to be paying off. “That was a very good win in the Monash. It will be interesting to see how he takes the step up to 1200 metres, but I’ve always thought he was a Group One horse,” Jamieson said. With such a strong pedigree, a Group 1 win this Spring would certainly put the entire right at the top of many commercial stallion farm’s shopping lists. But back to Rick Jamieson and his breeding fortunes. The breeder of Black Caviar, All Too Hard, three other high class Group 1 winners and numerous other high achievers has clearly got his ‘formula’ right. And it is the success he has had with his breeding principles that gives him further confidence in his new venture of standing a stallion this coming breeding season. UK bred Cable Bay is Rick’s current breeding project – correction – obsession. Having spent months and months trawling through international pedigrees, Rick eventually landed on the son of Invincible Spirit. In recent weeks, Rick has been busily sifting through hundreds of pedigrees of mares submitted by breeders interested in being part of his (and his syndicate partner’s) Cable Bay project. But Rick, sticking true to his principles, says he has ‘knocked back’ a large army of mares based on his project in finding the strongest matches to the young stallion. It’s not to say the breeder cannot absolutely take their mare to Cable Bay, who will stand at Woodside Park. It’s just strong advice provided and strong advice perhaps heeded considering Rick’s success. Rick has been pleasantly surprised at the range of breeders who want to share in his project. “The mare owners have predominantly come from Victorians…but there are quite a few from New South Wales I didn’t expect to be honest,” he says. He has committed six of his own classy broodmares to the stallion including Group 1 winner Mirjulisa Lass and All Too Hard’s sister Brigitte. The Cable Bay syndicate has also invested several million in a further dozen or so black type, well-related mares. Only time will tell how Rick and Cable Bay go in the commercial world of Australian thoroughbred breeding, but certainly he hopes that Saturday’s trio of winners is a sign of future success. UPDATE: The Gilgai bred success continued at Geelong on Tuesday when the Heath Conners trained 2YO colt Clear Signal (Bel Esprit) won in a major upset. He was a $81 chance! Clear Signal was bought out of the 2016 Inglis Premier Yearling Sale by Blue Sky Bloodstock for $115,000. The beautifully bred De Gaulle (Exceed and Excel) will be standing at John Pratt’s Brooker Park in Darnum, part of Gippsland’s lush dairy region. A stallion with impeccable breeding and incredible speed, his dam is the dual Group 1 winning mare, Response. Highly rated as a juvenile and spoken of as the next potential superstar, De Gaulle was touted a genuine Golden Slipper runner, and based on what he had shown, he was good enough to win it. 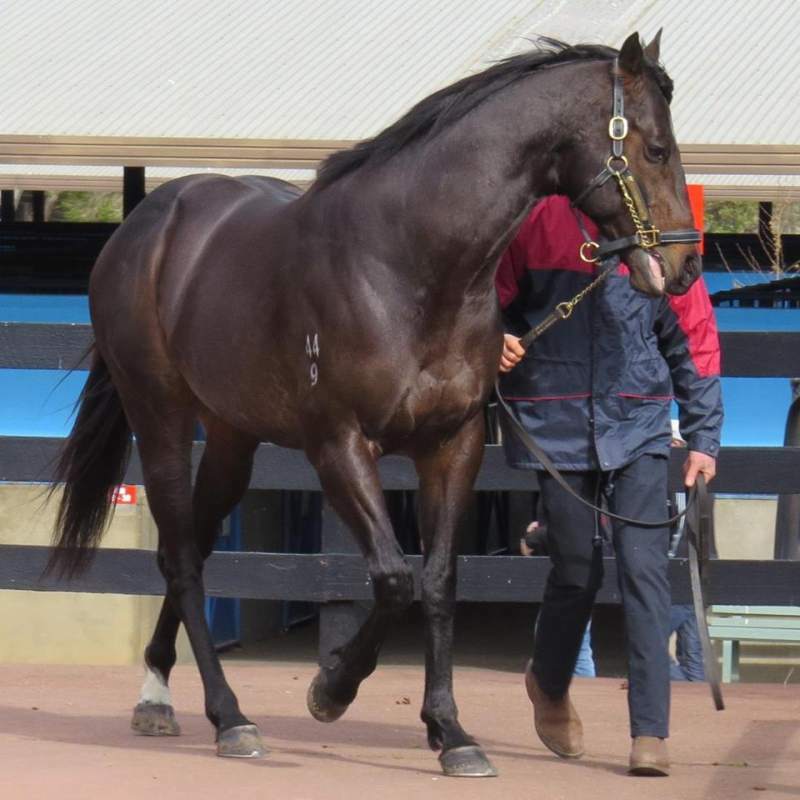 Trained by Snowden Racing, De Gaulle won his first trial on pure raw ability. Panicking amongst the other horses, he took off, putting three lengths on the field in the blink of an eye. He maintained his pace, recording the fastest time of the day and beating Diamond Tathagata, the future Group 2 Skyline stakes winner. De Gaulle fine-tuned his race skills, and in his following trials, he was much more tractable beating Blue Diamond runner up Pariah in his third and final hit out. “He could gallop faster than what his body was ready for,” John Pratt said. “Being by Exceed and Excel he was supposed to run early, but he was just too fast and too young for his own good. I’m sure if he had raced as a late two-year-old or even at three he would have had the chance to win black type races. As his owners including, Newgate Farm, China Horse Club, SF Bloodstock and Winstar Farm had such a high opinion of De Gaulle, they didn’t geld him and wanted to give him a chance at stud. John Pratt was able to put his hand up through his good contact, Tim Brown from Magic Millions, whom he had purchased his other stallion Danesis through. “I was thrilled we were able to secure him, and after doing a bit of research and seeing his trials, I thought this is too good an opportunity to pass up,” Pratt said. Brooker Park broodmares are building up an exciting broodmare band to go to De Gaulle in his first season with mares by influential sires such as Sadler’s Wells, Volksraad and Carnegie to name a few. “My business partner Richard Anderson from Quilly Park and I have been purchasing some quality broodmares, selected by Diane Neylon, from the sales to suit De Gaulle’s pedigree. “I value the advice highly, and believe that we can achieve an advantage by researching the matings. Being out of the top race mare Response, .De Gaulle is a half brother to the stakes placed three-year-old Fastnet Rock filly Alter Call, who sold for $1.05 million. Response’s latest foal, a filly by Snitzel sold earlier this year for $1.7 million at the Inglis Easter Yearling Sale. Richard Anderson has been building up to the day when Quilly Park and Brooker Park were ready to own a stallion. “It actually came about due to the VOBIS Sires $1 million 1200m two-year-old sprint for nominated progeny of Victorian sires, and we thought here is an opportunity to stand a stallion that is a son of Exceed and Excel, out of the great mare, Response that can offer speed to the VOBIS race. “When you look at the speed sires down here, most are well and truly out of range from a price point, so De Gaulle provides an exciting and affordable option for the breed to race breeder,” Anderson said. “We would like as many mares as possible, but at least with our select mares, numbering about twenty, we are setting him up to achieve the best possible results. 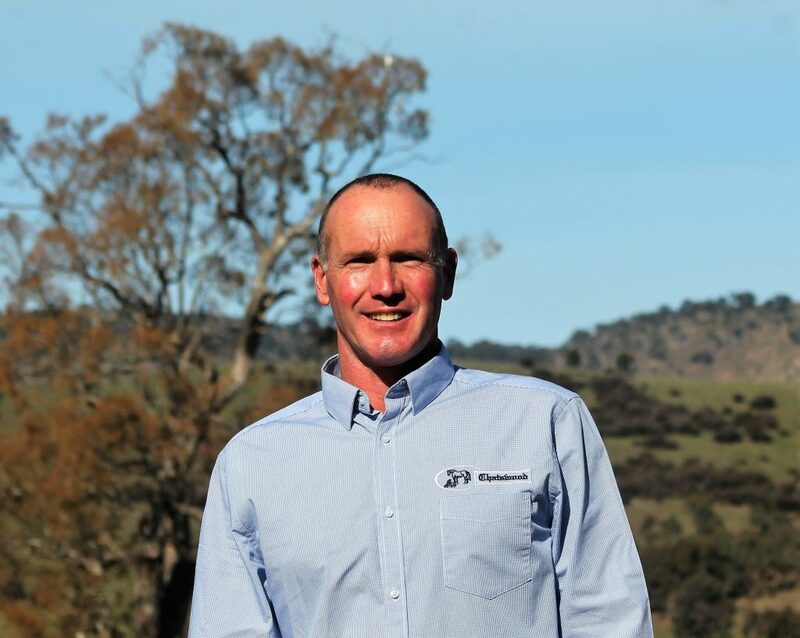 “For anyone thinking of setting up a breeding operation, with the VOBIS scheme it makes it such an attractive option to come to Victoria,” Pratt said. Brooker Park offers a walk on service to visiting mares for their two stallions, Danesis (Danehill) and now De Gaulle. Both will stand for a service fee of $2,200 inc. GST. Contact John Pratt on 0427 275 555 for more information. Inglis’ Herald Sun competition delivers another Victorian bred winner! You could do worse than enter the annual Inglis/Herald-Sun Win-a-share-in-a-racehorse Competition which opens in the lead up to the Melbourne Premier Yearling Sale. The yearling shares won in this competition have delivered a large amount of joy to the competition winners and significant riches! What’s more, the horses involved have almost all been born and bred here in Victoria. Just recently, Darren Weir contributed to the enormous success of the competition when he trained Master of Design filly Coco Gabrielle to her maiden victory at Murtoa. The filly won a generous pay check for the country win. Not only did she collect $11,000 in prize money, a further $22,040 in Super VOBIS and VOBIS Gold bonuses came home with connections! Coco Gabrielle was selected by Weir as the 2015 yearling for the ‘Win-a-share’ competition with the winner of the 10% share (and training expenses) being Chris Martin of Collingwood. Bought from the Swettenham Stud draft for $70,000, she was a well-balanced and athletic yearling and is out of the Commands mare Ardent Command. Having got her first win on the board, Coco Gabrielle joins a fairly illustrious list of racehorses involved in previous Inglis/Herald-Sun ‘win-a-share’ competitions. These include the Victorian bred horses Del Prado (Henrythenavigator), Set for Fame (Reset), Backstedt (Magnus), Pinyarda (Pins) and Group 2 winner Fontiton (Turffontein). In fact, the nine horses selected that have raced for the competition winners have won nearly $2 million dollars between them! Added to that, Fontition was sold as a broodmare last year for $1.1 million. No doubt competition winner Vasko Ognenovski of Lalor was thrilled with his 10% of that! Inglis senior auctioneer Peter Heagney said the success of the horses had contributed to the popularity of the competition, which had almost 40,000 entries last year. “Every horse (selected) has won a race except the two-year-old, who hasn’t raced yet,” Heagney said. The pressure is now on Ciaron Maher the selector of the competition horse at the 2016 Inglis Premier Sale. Now a two-year-old and named Hollywood Showgirl, she was in the Supreme Thoroughbreds draft and is by Chatswood Stud sire, Reward for Effort and out of the Singspiel (Ire) mare Miss Outstanding. The winner of the 10% share was Tom Allen of Oak Park, who will race her with a Wylie Dalziel Roy Higgins Racing syndicate, Peter Moody and others. 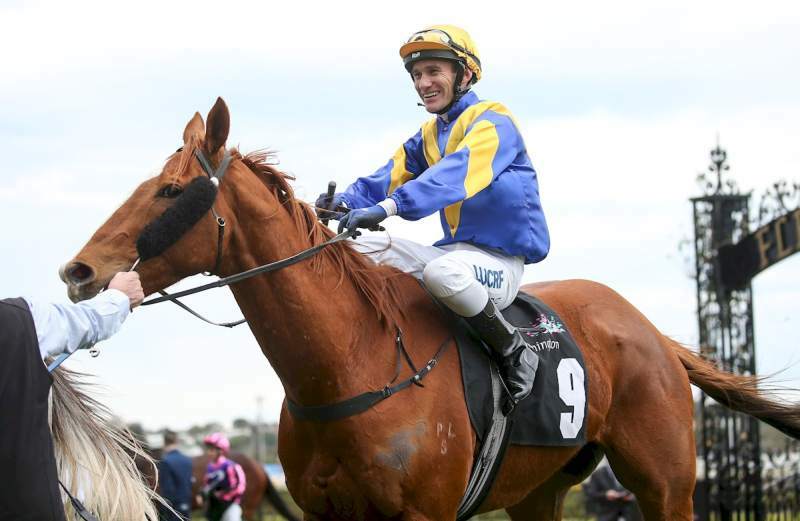 Ciaron Maher’s assistant trainer, David Eustace reports that the filly will look to the summer before hitting the track. “She is a lovely type and we are giving her a chance to develop and mature into herself. She has had a couple of preps here at Caulfield and now is in the paddock for a big grow. “We are hopeful she will be ready as a three-year-old for her debut,” Eustace said. She has big shoes to fill when she finally gets to the track. 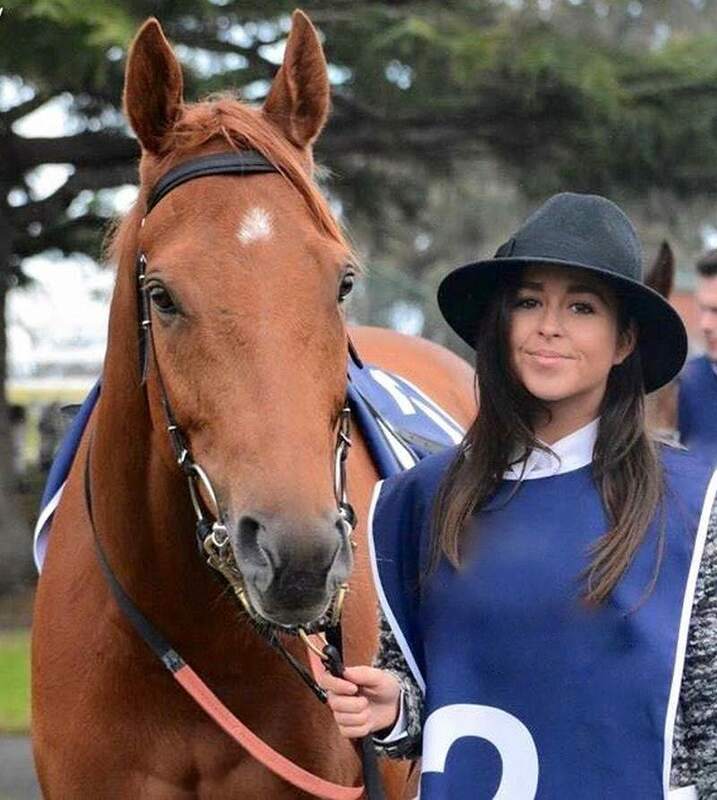 But she will be sure to have the collective backing of Inglis, the Herald Sun and her already winning owner Tom Allen when she starts what will hopefully be a successful career. Kilmore’s Glen Eden Agistment has slowly but surely developed thanks to the blood, sweat and tears of its owner and manager Sonia O’Gorman (nee Carboni). And now Sonia and her small team are taking the next step by standing a stallion. This season the beautifully bred Italian champion, Scintillo (Fantastic Light) will call Glen Eden home. Scintillo won the Group 1 Gran Criterium in Milan and was crowned Champion 2YO colt in Italy in 2007 and the ROA All-weather Horse Of The Year in 2009. He raced in four countries at the top level including the 2000 Irish Guineas, the King George VI and the Queen Elizabeth Stakes, Grand Prix De Saint-Cloud and the Japan Cup. Scintillo was purchased by Victorian Len Lucas to be aimed at the 2010 Melbourne Cup under the care of trainer Robbie Griffiths, but unfortunately succumbed to injury. After winning an impressive trial first up, he suffered a career-ending suspensory injury and a new career in the breeding barn beckoned. Sonia Carboni’s Glen Eden is based at Moranding, just north of Kilmore in north central Victoria. A boutique property, the horse’s safety and health, both physical and mental, are given priority by Sonia. “Scintillo is beautifully bred with a lovely pedigree. He is Fantastic Light’s highest rated son and is out of Thatching’s highest rated mare, Danseuse du Soir,” Carboni said. “He is the only son of Fantastic Light standing at stud in Australia providing local breeders a great opportunity to tap into that pedigree line. As Scintillo’s first season at stud in 2013 was a trial of four mares, his first real crop of foals won’t hit the track until next racing season. A possible smoky in this 2015 crop is a yearling out of Diva Dance. The Gai Waterhouse trained youngster has popped up with 2018 nominations for both juvenile Group 1 classics, the Golden Slipper and the Blue Diamond. “He could really fire as a stallion as we don’t know how good he is yet, and with limited books of mares, he can now get his chance. He certainly throws a very nice horse based on his yearling and weanlings I have here,” Carboni said. Born in 2005, Scintillo was bred in the United Kingdom by Woodcote Stud. He is out of the dual Group 1 winning Irish mare Danseuse du Soir (Ire) (Thatching), a winner of the Longchamp Poule d’Essai des Pouliches (French 1000 Guineas) and the Prix de la Foret in 1991. Crowned Champion UK Broodmare of the Year in 2000, she has produced five winners including the four-time Group 3 winner Jumbajukiba (Barathea). Scintillo’s sire is the world champion galloper Fantastic Light who won six Group 1 races in four countries for Godolphin. He was crowned Horse of the World in 2000 and 2001, the Eclipse Champion Turf Male in North America and 2001 ROA Horse of the Year (UK). Now retired from stud duties by Darley, Fantastic Light is becoming a valuable broodmare sire, with his daughters producing multiple stakes winners. Sonia has over twenty years experience in the thoroughbred industry, including at Hunter Valley and Victorian stallion studs, equine veterinary hospitals and with racehorse trainers. One of the better horses to come from Glen Eden’s small broodmare band is the Greg Eurell trained city winning Galaxy Raider. Scintillo is standing at Glen Eden for a negotiable fee of $3300 (Inc. GST). Contact Sonia on 0407 811 411 or 03 5781 1411 for more information. A new breeding farm has been established at Avenel by two experienced former employees on the Victorian breeding industry. Kim and Dale Alderton have set up Shadow Hill Thoroughbreds on 180 acres of rolling hills and are open for business as the 2017 breeding season approaches. 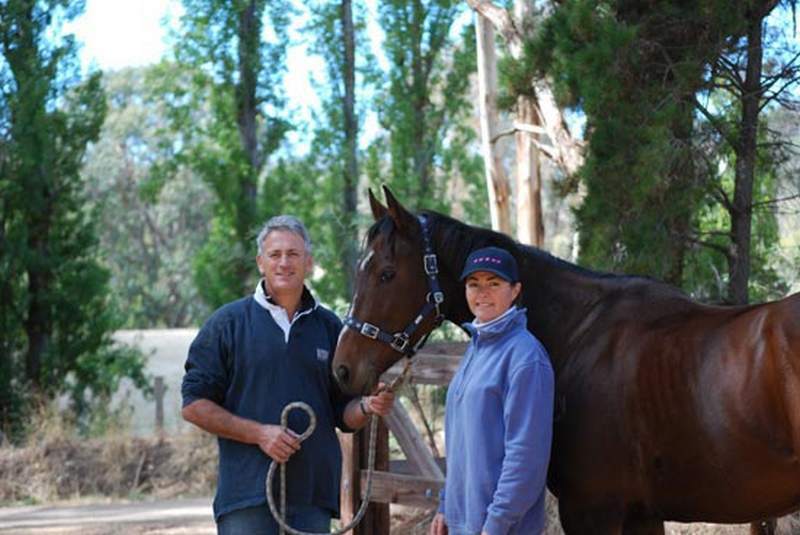 Kim and Dale were an integral park of Victoria’s Eliza Park for more 18 years, both holding management positions at the farm. A scholarship recipient to attend the Irish National Stud, Kim held both farm and stud manager positions, with extensive experience in foaling down, care and education of the weanlings and yearling preparation. Famous Eliza Park graduates that were cared for by Kim included Helsinge (who of course went on to become dam of Black Caviar) as well as race track stars Danerich and Red Dazzler. “We have learnt a lot over the years, and by drawing on the positives, we have made sure the farm will run efficiently and effectively. It is safe and functional with laneways, secure fencing and clean, well-managed paddocks,” Kim said. “We are using natural farming methods where we can to minimise chemical use on the property, instead utilising our cattle and sheep in the farm’s paddock rotation program… keeping pastures clean, palatable and worm free,” Kim said. “We will give all the weanling and yearlings a good foundation by bringing them into a box for a week every month for education. Shadow Hill Thoroughbreds is just twenty minutes from key stallion farms Darley, Swettenham, Chatswood and Blue Gum Farm while Sun Stud and Spendthrift are just more than an hour away. For further information about Shadow Hill Thoroughbreds and its services, contact Kim on 0429 526 285 or shadowhillthoroughbreds@outlook.com. Do Fillies Really Improve When Racing In Foal? The great triviality that is horse racing is full of unanswered questions, most of which are destined to remain unanswered for as long as thoroughbreds are raced. However, for the first time, one such question can finally be addressed using robust statistical evidence that has never before been collected or examined. The effect that being in foal has on the racing performance of fillies has been the subject of discussion for decades. Every year without fail, fillies win races in the 120-day period during which they are permitted to race after being covered. There are multitudes of examples of this occurring from the lowest levels of the sport right up to the headline-making Group 1 wins of in-foal fillies such as Indian Queen and Chinese White. All of these successes have understandably served to reinforce the commonly-held theory that pregnancy can often correlate with improved racing performance in fillies. On the face of it, the theory seems to carry plenty of weight. As well as masses of anecdotal evidence, there are seemingly sound physiological explanations for why pregnancy could well lead to an improvement in racing performance. It is well known that being in season can detrimentally affect both the behaviour and racing performance of fillies. Thus, the fact that fillies cease to come into season once they are in foal is considered a significant positive offshoot of pregnancy in a racing filly. As well as that, the calming effect of the hormone progesterone which is produced during pregnancy could also have a positive impact on racing performance. That said, there has always been the possibility that the perception of this apparent correlation has been exaggerated by the confirmation bias caused by the racing public only tending to be made aware of or take notice of the fact that a filly is in foal after they have won a race. Sceptical observers suggest that there are likely to be multitudes of in-foal fillies that race without success that the racing public doesn’t hear about and that if we were privy to all of those, the full set of data would show that it isn’t the key to improvement that many consider it to be. While there has been unending conjecture on the subject from both sides of the debate, until now the matter has progressed no further than that. The primary reason for this is that while it has been considered on numerous occasions in multiple racing jurisdictions, it has never been made compulsory for trainers to declare if the fillies in their care are in foal. This lack of reliable official information has made it difficult for anyone to draw a robust evidence-based conclusion on the matter. However, Weatherbys require owners/breeders to report the last date that a filly or mare was covered by a sire, as well as the result of that covering, including the date that those which successfully carried their pregnancy to full term give birth to their foal. It is thus possible to obtain that information from Weatherbys and cross-reference it with a racing form database on a case-by-case basis to identify those that raced after their last covering date and subsequently carried their pregnancy to full term. By only including fillies and mares that carried their pregnancies to full term, we can be all but certain that they were indeed pregnant in all of their runs that came after the date of their last covering. Thus, this methodology is exceptionally unlikely to throw up false positives and therefore provides a reliable set of data. As is the case with any statistical study, one of the most important requirements is that there is enough data collected to make the conclusions drawn from it as reliable as possible. With this in mind, I examined all the data from the seven years from the beginning of 2009 through to the end of 2015. This resulted in the identification of a total of 443 qualifiers that raced on the Flat in Great Britain and Ireland while in foal. Once this set of data was isolated, the next step was to come up with a fair methodology to assess their racing performance whilst pregnant. In terms of the basics, the number of runs and wins after their last covering date was recorded in each case. After that, ‘improvement’ was defined as registering a career-best Racing Post Rating while in foal. This improvement was then measured by the difference between their best pre-pregnancy rating and their best rating whilst pregnant. The research revealed that 443 in-foal fillies and mares had a total of 1,549 starts while pregnant, an average of 3.5 starts each, and they achieved a win strike-rate of 8.26%. To put that into context, the win strike-rate of the entire population of 3-year-old and older fillies and mares in Great Britain and Ireland in the same period was 9.35%. Thus, the strike rate of pregnant runners was 11.7% lower than non-pregnant fillies and mares. This is a statistically significant difference that would not have been at all expected by many. What makes this so surprising is that even if pregnancy had no positive effect on racing performance, it would have been expected that the strike-rate of pregnant runners would have been higher than that of non-pregnant runners, as there is almost certainly a positive selection bias at play in the pregnant group. As well as it being likely that the quality and pedigree of those chosen to race while pregnant would be above average, what is certain is that with trainers having a maximum of just 120 days to race them while pregnant, they would be pulling out every stop to get them in the winner’s enclosure and/or show improvement. Thus, for them to have a below-average strike rate is very much an unexpected eye-opener. There were more surprising results to be found when the sample was examined in search of how many of the pregnant runners showed improvement. Just 67 (15.1%) produced career-best efforts while pregnant, with the average rate of improvement being 5.8lb. A total of 13 (2.9%) improved by 10lb or more and 23lb was the most improvement shown by an individual. While there isn’t an appropriate means to compare these percentages against the overall population as was done with the win strike-rates above, given just how widely it is considered that pregnancy brings about improvement in racing performance, that 84.9% of the fillies/mares in this sample did not show any improvement is surprising. Similar statistics were revealed when the performance of fillies/mares that raced over jumps while in-foal during the same period were examined as part of this study. While the sample is smaller with just 169 qualifiers, their strike-rate over jumps was 7.4% compared to 7.81% for all 4-year-old and older fillies/mares over jumps in the same period. The percentage of those that produced career-best efforts over jumps while pregnant was just 12.4%. Thus, rather than supporting the commonly-held view that being in foal is a positive for a racing filly/mare, this data suggests that being in foal could actually have a negative influence on racing performance. While it remains to be seen whether this significant new evidence will have any effect on the popularity of putting fillies and mares in foal while they are in training, it will hopefully serve to better inform breeders, pundits and the racing public in how they consider such situations. Fillies/mares that were returned as having aborted early, slipped their foal or as having no return were not included in the above data sample. While there is a chance that they were in foal when they raced, there isn’t enough specific detail returned officially to allow us to be sure whether they were or not, so in the interests of the integrity of the sample they were left out. Fillies/mares that were returned as having given birth to a dead foal, a foal that died after birth or a foal that was born abroad were all included in the data sample, as all of them carried their pregnancy to full term, which is what is relevant to this study. With regard to the time period used for this study, it is worth noting that the win strike-rate of all 3-year-old and older fillies/mares in Great Britain and Ireland went through a significant gradual change in the last 15 years or so. It increased from an average of 7.76% between 2003 and 2008 to 9.35% between 2009 and 2015. This is likely to be attributable to the growth of the programme of races for fillies and mares. Thus, in an effort to make this study as reflective as possible of the current situation and programme book, the time period of the seven years from 2009 to 2015 was selected, as the fillies/mares strike-rates remained quite stable in this time. The study did not include data from the 2016 racing year as the returns from breeders for their 2016 coverings were very much still incomplete at the time of writing. One of the most eye-catching qualifiers in this study was Your Gifted. Having been covered on May 13, 2011, the sprint handicapper raced more times (15), won the joint-most races (four) and showed the joint-second highest amount of improvement (22lb) when in-foal than any other qualifier in the seven years examined. While the foal she subsequently produced didn’t show much ability on the track, Your Gifted was put back in training the year after giving birth and has gone on to win five more races. She is still racing and has had more than 100 career starts. A son of Sun Stud’s leading sire Magnus provided a highlight at Singapore Turf Club’s meeting on Sunday. Special King, a two-year-old bought out of the Magic Millions Adelaide Yearling Sale, lead all the way in the 1100 metre race to win by one and half lengths and add to a flurry of winners for Magnus. 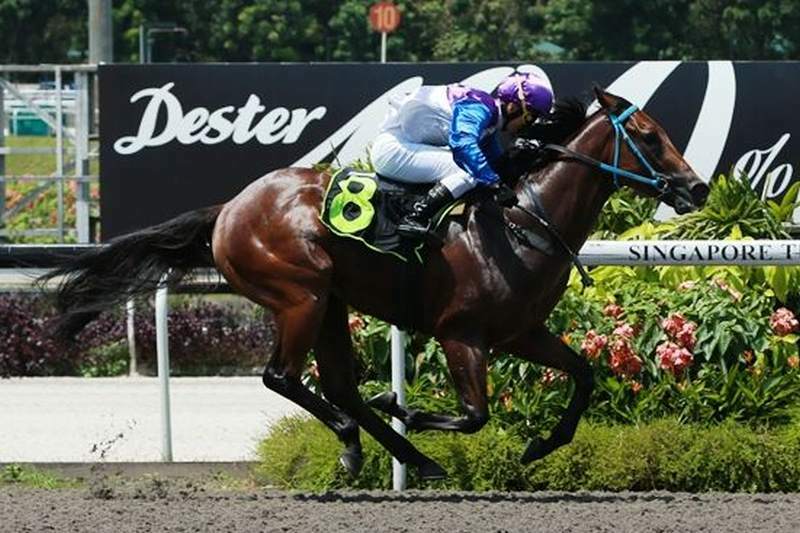 It was the colt’s second start under the guidance of trainer Alwin Tan and places him amongst the better juveniles this season in Singapore. The past two weekends and the week between have been lucrative for the progeny of Magnus. Viceroy (at Canterbury), Abohar (Doomben) and Magnus Knight (Balaklava) have all recorded metropolitan wins there have been a steady string of winners elsewhere in Australia from Hobart to Ballarat to Mt Isa and Alice Springs. Perhaps most notable of those country winners was another Magnus two-year-old, the Allen Browell trained Star Hills at Donald. A homebred of Val and Horrie West, he has been accepted for Sandown this Wednesday. Also of note in winning was the Pat Hyland trained Gredington. Out of the winners circle for almost two years, he saluted at Ballarat last week for his large and mostly female group of owners. Having achieved a Group 2 placing in the Spring of 2015, the four year old gelding is rated by his trainer but has been frustrating following a series of setbacks and injuries. He now looks on track for more success. With these winners, Magnus is now on the verge of 100 individual worldwide winners once again this season. 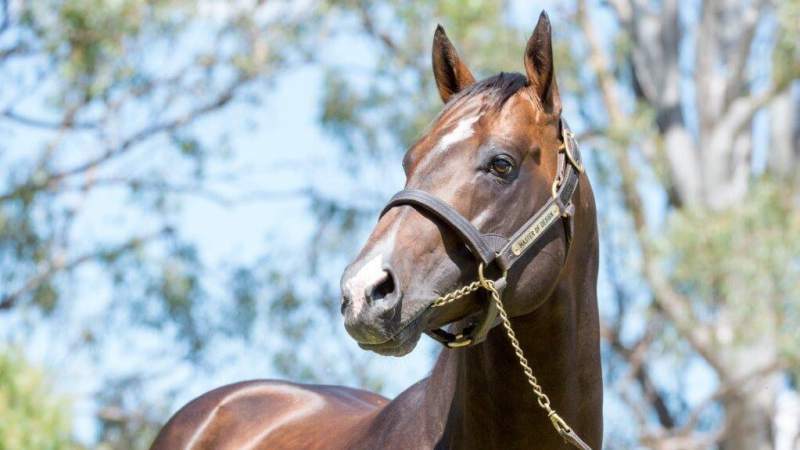 His progeny have reaped earnings of in excess of $5.3 million in Australia this year. Magnus will stand this season at Sun Stud for a fee of $22,000. 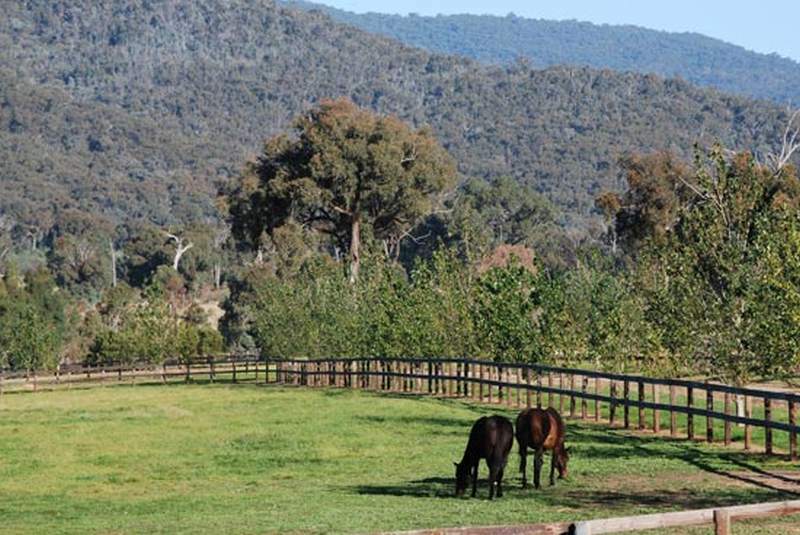 Peter Grundy, a forty year veteran of racing and breeding, has set up a new property in Victoria’s picturesque Yarra Valley and will move his stallion Widden Valley to the farm. Having called Moorooklye Park home over the past three years, the former Chris Waller trained Widden Valley will be given every chance on his owner’s newly developed Little Yarra Lodge farm. Widden Valley was destined to be a stallion prospect being a son of Anabaa (USA) out of the fantastic Group 1 winning mare Rose Archway (Archway). 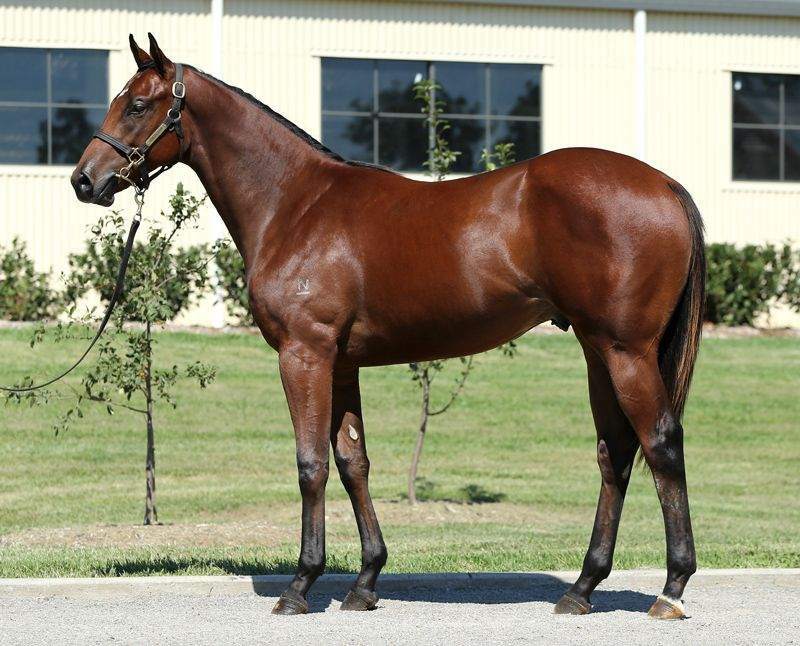 He was bought for $900,000 as a yearling at the Inglis Easter Sale. Unfortunately due to an injury sustained during breaking in, Widden Valley only had five career starts with Chris Waller. With two wins over 1350 metres, he set a new class record at Wyong by 1.5 seconds breaking a 20-year record. In his last start he ran a gallant third in the $750,00 Inglis 3YO Guineas at Scone in a top quality field. “A horse with tremendous abilities that race goers never got to see the best of, he just had a great attitude but he couldn’t get over his injury as a youngster,” Waller said. 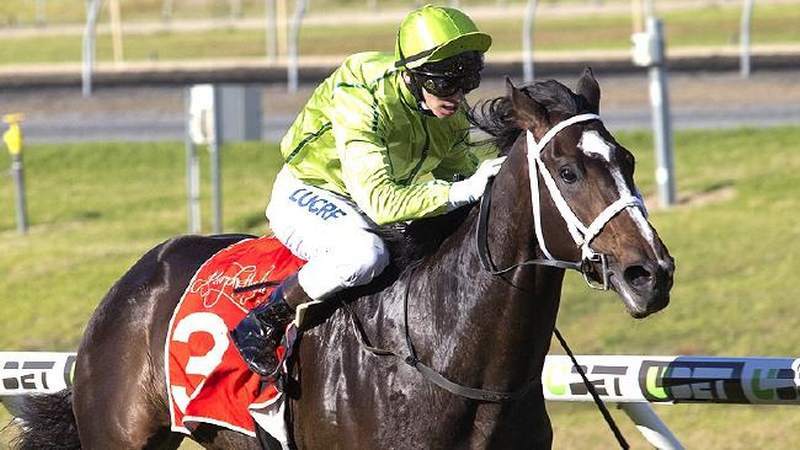 “This horse would have won Group races for sure – he had so much natural talent, and I had black type traces picked out but it just wasn’t to be.” Waller said. Grundy said now was the time to stand Widden Valley at his own farm. “As (Moorookyle’s) Nioka (Wozny) now has a few nice stallions, I thought it was time to get my own place and bring him home. Grundy’s forty years experience in the industry has included eventing as a junior and working for a few trainers in the Western District. He gained his own trainers licence while in his twenties, but a move to Melbourne and a young family put the horses on the back burner. “I really missed the horses, so I jumped right in and bought a stallion. Once horses are in your blood, it’s very hard to not have them in your life,” Grundy said. Grundy was busy with a young family and other commitments during Widden Valley’s first few years at stud. “I wasn’t able to purchase some nice mares and really give him the support I would have liked to. I am now setting up a nice little property in the Yarra Valley that is being fenced as we speak where the visiting mares and Widden Valley will reside,” he said. Widden Valley has already received a handful of mares booked for the coming season, and Peter Grundy has seven mares of his own that will visit. Graham Ward, the co-owner of the stallion’s dam Rose Archway, stays in touch with Grundy to maintain the connection with Widden Valley. Rose Archway was a superb race mare winning the Group 1 AJC Australian Oaks among other Group races. Widden Valley’s progeny statistics are nothing to be sneezed at. He has had 22 named foals for 20 to race resulting in six winners. Among those winners is Eerised who ran fourth in the Group 3 Frank Packer at Randwick to Mongolian Wolf. There has also been recent Darwin winner He’s Our Woody, Alice Springs victor Cat’s Alley, Memory Park at Penola, two year old Hobart winner Uber Ed and NSW provincial winner Unique Command. As a stallion Widden Valley has thrown exceptional types and he offers real value for the astute breeder for a service fee of $2200.00 Inc. GST. Contact Peter Grundy at Little Yarra Lodge on 0417 720 468 for more information. ‘Creative’ Victorian-sired finish in NZ. 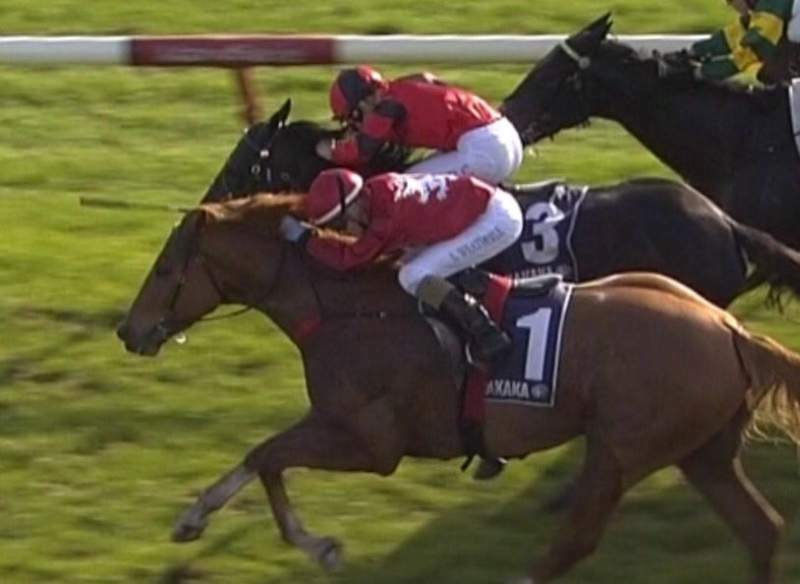 It was a unique finish to a recent race at Ruakaka in New Zealand with a pair of 3yos sired by Victorian second season stallions dead heating. Creative Genius, a son of Master of Design, kept lifting to dead-heat with Toorak Tower, a son of Toorak Toff in the Tanalised Mile (1600m). It was another encouraging result for new Greta West Stud sire Master Of Design following his late-season Australian winners Coco Gabrielle, Vladivostok, Swiss Design, Senor Gaudi and Jaminzah. The Steven Cole-trained Creative Genius is fulfilling the potential he showed earlier this season when stakes-placed at Ellerslie. “That was a gutsy win. The other horse got a head in front but he wouldn’t lie down,” Cole told Thoroughbred Express on Sunday morning. Master of Design has sired the winners of 34 races in Australia this season to lead the Victorian second-season table ahead of Helmet (32), Moshe (28) & Toorak Toff (23). Meanwhile, Kabrocco (Kaphero) is a Greta West graduate heading to town after a last-start victory in the Winter Hcp (1000m) at Wagga. “He has a fair bit of ability and is going to develop into a really good sprinter, The best is still ahead. In 12 months he will be a genuine city class horse,” his trainer Dan McCarthy said. His dam Brocco Dancer (Brocco) was pensioned by Greta West owners Laurie and John McCarthy after she foaled a Keep The Faith colt last November. They retained her 2010 daughter Brocbel (Bel Esprit) and she delivered a Wanted filly last year. Perhaps most exciting for Greta West is that Group 1 farm-bred winner Le Romain (Hard Spun) is working towards another successful spring carnival with trainer Kris Lees. He was given an easy hit-out in a Wyong trial recently in advance of a return in the Group 2 Missile Stakes (1200m) at Randwick on August 5. 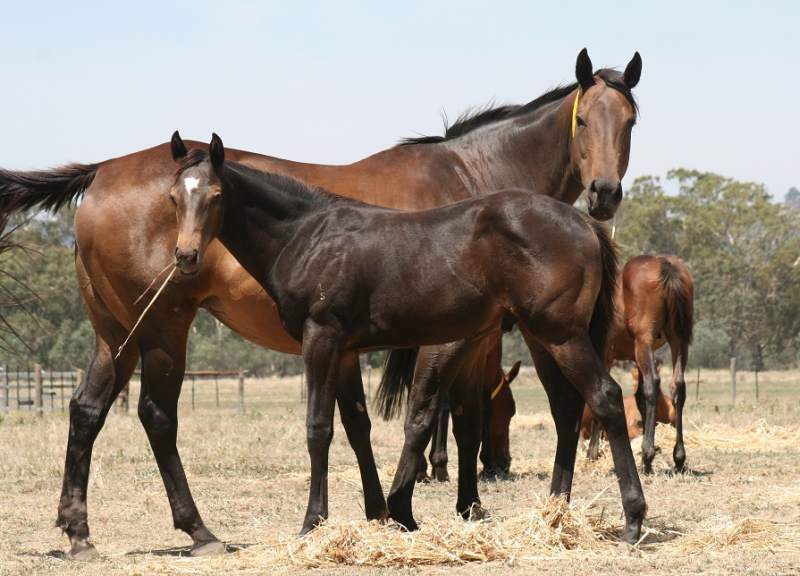 Born and raised at Greta West, Le Romain is owned by Sydney-based brothers Mark and Tony Carusi and the McCarthy brothers are rearing his weanling half-brother by Kuroshio. Master Of Design (Redoute’s Choice) stands his first-season at Greta West for a $5,500 service fee this season alongside Keep The Faith ($3,300) and King Of Prussia ($2,200). All fees (inc gst). Victoria’s oldest commercial horse stud is proud to announce the appointment of Keri Gore to the position of Stud Manager. Keri was born and bred on Horse Studs and arrives from his long-standing position of Stallion Manager at Sir Patrick Hogan’s iconic Cambridge Stud, where he handled the likes of Zabeel and Tavistock. Keri is eager for life at Chatswood. “I have always wanted to work in Australia and in particular, Victoria. The opportunity to join the Willis family and the rest of the team at Chatswood with a quality stallion roster was too good to refuse,” he said. 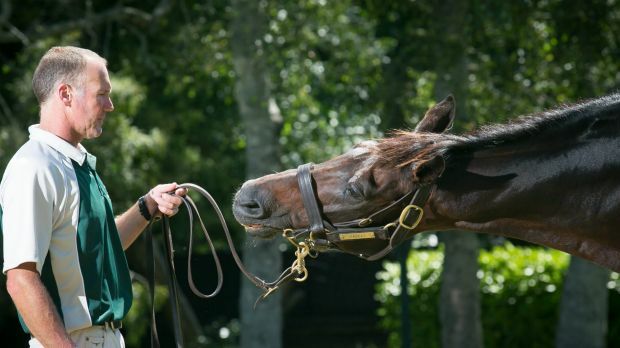 “Over the last two decades I’ve spent seventeen years at Cambridge Stud, working in the departments of broodmares, foaling, Stallion Management and at Waikato Stud as Yearling Manager. “Working at these two world class operations has grown my knowledge into the best practices in the thoroughbred industry. “I think of Chatswood Stud as Victoria’s secret. This is a beautiful farm with a great set up and a proud record of producing proper race horses. “There is no reason we can’t produce more Champions from this farm”. “We feel very fortunate to secure a horseman like Keri Gore. Since our first meeting with Keri we’ve been overwhelmed by his knowledge and work ethic. “Myself and the rest of the staff are excited to learn from Keri and I am very confident in the direction Chatswood Stud is heading”. Keri would like to welcome clients with any questions to contact him directly on 0418 645 115. Chatswood Stud is standing four stallions this year including one of Australia’s leading 3rd Season Sires Reward for Effort, Anacheeva and new stud sire All American, the sire of Group 1 star Yankee Rose. They are also standing first season sire Ajaya (GB), an exciting Group 2 winning son of Invincible Spirit. Full details of the stallions can be found on the Chatswood Stud webpage.